Tracking a missing pet, child or mental patient can be a huge resource and energy-draining operation. While there are various tracking devices in the market including GPS in cell phones or mobiles, EmSeeQ provides efficient tracking of the location of the missing and work together closely with law enforcement officers or emergency workers to recover them within the shortest time possible. EmSEeQ can provide support when the missing wander off and cannot find their own way home. 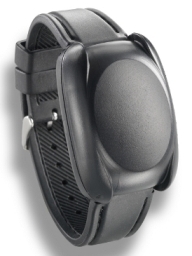 Once activated by the caregiver, the device will make a call to the missing via the cellular network and provide the location to a 911 operator. The device exploits existing cellular and 911 networks to speed up the tracking and recovery of a missing individual. Using triangulation through the cellular network, EmSeeQ can efficiently locate the missing even when there are physical obstacles such as walls and buildings which interfere with GPS functions. There are 5.3 million Alzheimer’s and 1.5 million autistic patients in the United States. For $185 and a $25 monthly service charge, caregivers of Alzheimer’s, autistic patients or any individuals who have a tendency to wander can get peace of mind. Because it is worn around the wrist like a watch, the missing has a higher chance of being found even if their mobile phone or bag is stolen or lost.